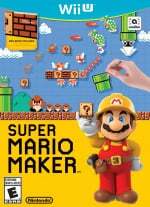 In recent times Nintendo's been upping the ante with Super Mario Maker Course Events, with unlockable Mystery Item outfits related to first- and third-party games, TV shows, magazines and even cars. The next two are, we suspect, going to be rather popular among retro aficionados. Both Mr Saturn and Master Belch, of EarthBound fame, are confirmed to be on the way through event courses. As with previous examples it's Nintendo's Japanese YouTube channel that's jumped in with early footage, showing a release date of 19th December. Both are certainly fun inclusions in the ever-expanding Super Mario Maker. Will you be sniffing out these courses when they go live soon? As an extra bonus, below is an official video for the recently released Nintendo Badge Arcade event course. YEE for more outfits! now we need some undead thingz! Master Belch is a bizarre choice. I love it. This is all lining up with the references to cut costumes datamined at launch. Pink rabbit and Mr Saturn have now been fulfilled, so who else can we hope to see soon? Mashiko, E.Gadd, Baby Mario, Balloon Fight, Muncher, Nabbit and Popo all seem likely. GoldenRetriever is probably a Nintendog. MarioUs might refer to an already released Mario outfit, there'll probably be more. Windows Logo? Surely out of the question. Mr Saturn I was expecting because of the datamined leak @RupeeClock mentioned, but not Master Belch. Anyways, these are some nice additions. Neat, I haven't played Super Mario Maker for a while, although my kids & nephews having a blast with it, looking forward to catching up with the Event Courses, which I've really enjoyed so far! Yay, more love for EarthBound outside of Smash Bros. I wonder if/when we're going to get more Mystery Suits for amiibo characters. I would love to see Cloud, Bayonetta, Shovel Knight, and a Ryu that Shoryukens every time he jumps. Not really interested in more mystery mushroom costumes, but Earthbound is Earthbound. Definitely gonna give those stages a go. Does anyone happen to know what Costume #112 could possibly be? Costume #111 is the Felyne and Costume #113 is the Badge Arcade Bunny. @RupeeClock Mario US could refer to SMB2 which was called Super Mario USA in Japan. @RupeeClock I don't know about you, but I'd love to play as the Windows logo. Maybe the death gimmick could be a fake blue screen. Love seeing the Mother/Earthbound stuff. Love the costumes, not least because it means new levels to play. So English translation of 3 next? @Zoda_Fett The English translations are pretty self-explanatory. "This is the Character Name costume"
"You can get Character Name's costume from Course Name in the Event Courses section"
"Super Mario Maker: Out Now. Prices for physical/download versions"
...So yeah, you're not exactly missing out on much. @Zoda_Fett Oh, sorry! I mistakenly read it as "can we get English translations of the next 3? [costume videos]". I thought it seemed like an odd request. @Maxz all good aha, and yeah it would be lmfao. Woooo!! Mr Saturn! Although I'm not finding that these costumes are really making me want to play the game more. Basically everything online in this game is as follows: Messy level with a bunch of random in-cohesive junk flying around that has nothing to do with anything, RANDOM CHARACTER OUTFIT, one large jump over a pit, the end. If people make more than 2 EB themed courses to actually utilize Mr Saturn/MS Belch, I'll be surprised. Only things these videos are missing are the unique death sounds the mystery mushrooms make. "Barf! vomit! barf, barf! chuck! chuck! Drown to death in puke! Don't you think that's an incredibly masculine taunt to throw at you?" Master Belch made me chuckle a lot and remember that hilarious boss fight that would've been infuriating if I didn't have the right materials going in to it.